Ever since the first time I have heard about these little gadgets called “Digital” amplifiers, I have always been thinking to myself that they would have an inorganic or weird bright characteristic to their sound. I mean what could possibly come out of such small boxes that are hardly big enough to fit in the parts of the typical preamplifier? I was thinking that these amps could really be useless pieces of junk and shouldn’t probably be taken seriously by any self respecting audiophile. Oh well, I shouldn’t have judged them so harshly because after hearing one of them, I was pleasantly surprised. 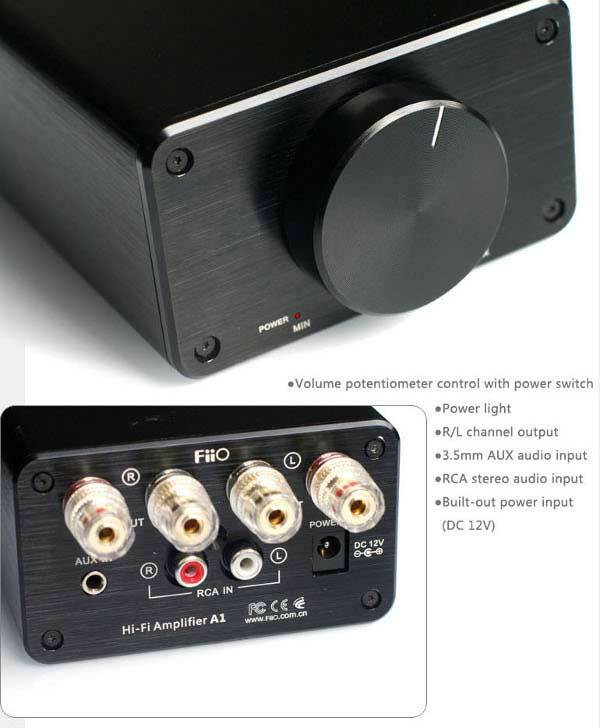 The A1 is rated at 14 watts per channel and is the same size and shape as their own E9 desktop headphone amplifier. I decided to try out the A1 with my old 93db sensitive DTX bookshelf speakers, (a Klipsch lookalike that is made in the Philippines which sounds really good for the price by the way). I usually drive these DTX speakers with an Audiolab 8000A integrated amplifier that is much more expensive and powerful than the FiiO A1. 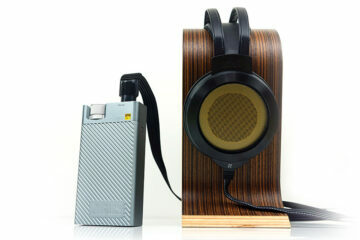 The DTX speakers sound quite musical and punchy out of the Audiolab. 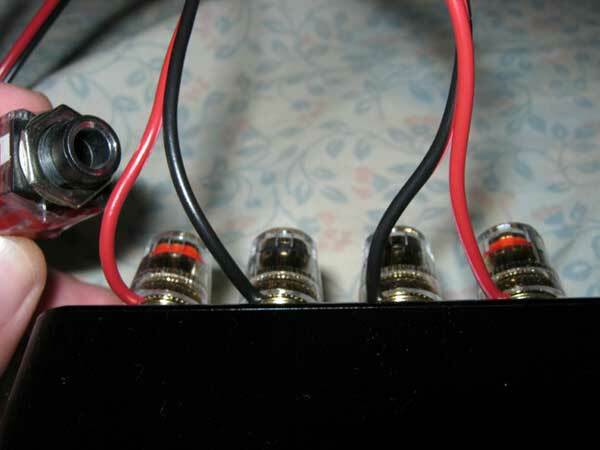 This is to be expected out of an amp with ample amounts of power but what if we use them with this little 14 watt amp? I was very skeptical that they would sound any good at all. Boy was I wrong in that respect. The little Fiio A1 actually made my DTX speakers more coherent sounding than they were out of the Audiolab 8000A, ($1000 SRP). The sound actually reminded me more of my old Antique Sound Labs KT-88 tube based amplifier that cost quite a bit more, (an older version of this amp ), but the FiiO actually has a grainless coherent quality to them that I don’t even remember those antique sound labs having. Am I nuts or is this digital amp cleaning out the grain? Is it fake sounding? I am not really sure because it seems that I hear more of the music and less of the amp out of these speakers. The transition from midrange to treble is quite seamless and the sound sparkle on these without having the added grain that my Audiolab integrated had in the highs. The Audiolab is even darker sounding in the highs yet still sounds grainier. Congratulations to FiiO for creating such a sonic treat at such a bargain price point. Where these fall short against the Audiolab is on the dynamics and deep bass extension front. This is too much to ask for though since the Audiolab is 50 watts in 8 ohms vs 14 watts for the A1. The Bottom line is if you want to spend around $100 on an amplifier for a set of speakers rated above 90db in sensitivity it’s a no brainer. The FiiO A1 is a winner for this price point. 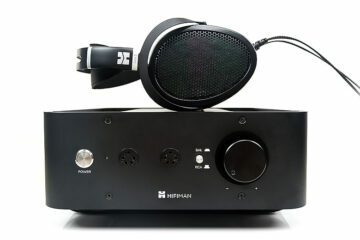 If you listen to your music at ear bleeding levels and still want to maintain the sonic quality that the A1 can give then you need to fork the extra cash and get something much more expensive because even the $1000 SRP Audiolab has a hard time catching up to the liquidity of the sound that the A1 puts out. To add to this review, I was just curious and bought a 1/4 inch headphone jack from an electronics store and put some speaker cables on them so that I can tap directly to the speaker jacks. Lets turn the a1 into a powerful headphone amplifier shall we? Lo and Behold…. PaWAAAAHHH! Why do we even need expensive high power headphone amps when we have a $100 amplifier that can easily be converted into a powerful headphone amp? Just make sure to turn on the amp first before inserting the headphones because turning the power on makes a loud thump on sensitive headphones. High performance TI OPA2134 audio operational amplifier for preamp circuitry with low noise, low distortion and high conversion rate. NXP high efficiency Class D TFA9815T power amplifier with BTL output for low voltage and high current capability. Each of the two sound channels use a different carrier frequency (550KHz / 600KHz) to achieve high fidelity conversion and minimized mutual interference. “0” dead zone design and protection against overheating, over-current, over-voltage, undervoltage, including detection protection on power up. “Digital Amplifier” is a total misnomer; it’s actually referring to the fact it is a class D amplifier, as opposed to the ‘traditional’ class A/AB/B amplifiers. Not sure if I’m posting the question correctly but i would like to have my ipod connected to this small device as a volume controller which will then be connected to the power amp for more juice…is that possible? any soldering involved with the 1/4 headphone jack and speaker cable connection?. Hello, can you please explain further how did you do this, I am really curious on how you acomplish this task. Thank you for this very impormative post. this is a good buy indeed. I’m pretty much interested in this, because I’ve recently discovered my dad’s old pioneer woodie stereos in the attic, and they sounded quite good from an el cheap T-Amp Audiophile desktop amp, and my ENMAB8C. I’m curious how they’d sound with the A1! cheap & quality can be a good friend! The Audio Hobby is really getting more exciting these days. This kind of sound was unheard of in this price level during the 1990s. I had to pay 20k for my first DVD player in 1998 and it did not even have an on-board decoder, luckily I paid even more for a Pioneer Dv717 that lasted 10 years haha… now they are about 10 bucks a unit – crazy what they can fit into tech units now for the price!